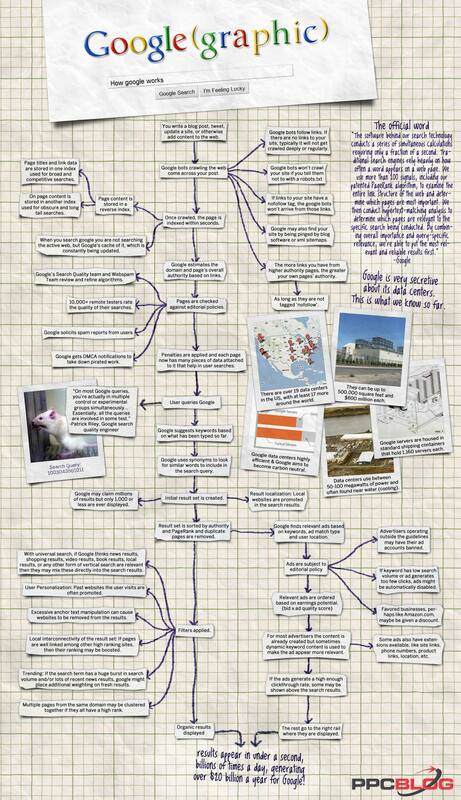 The following infographic was created years ago when Google had a content-first focus on search. In the years since then, the rise of mobile devices has caused Google to shift to a user-first approach to search. We created a newer infographic to reflect the modern search landscape here. FREE: add this infographic to your website!